Rosie’s biennials….with some annuals for good measure. 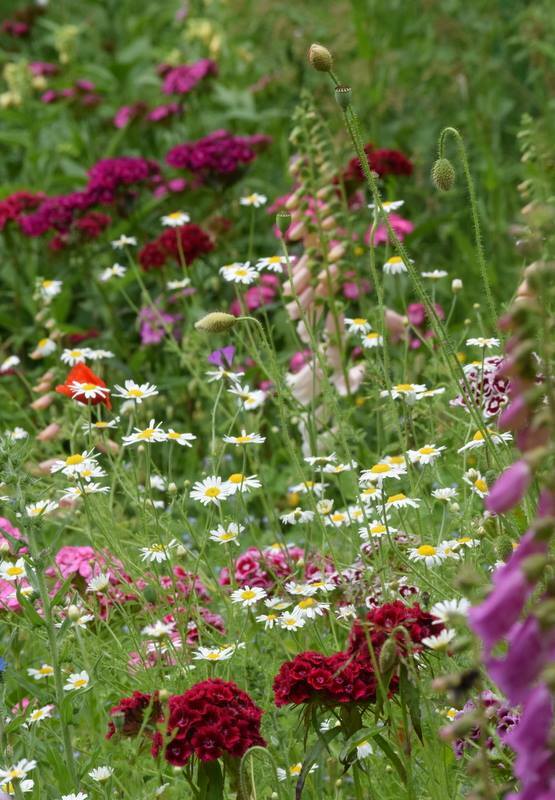 In the last lesson, we looked at Half Hardy Annuals…what they are, and how to grow them. It was so tremendously exciting that we all had to take a week off and listen to whale song in order to calm ourselves down. Today we will be daring to enter the bewildering world of Biennial flowers…please make sure you’ve had your Weetabix and that you are wearing sensible shoes. As usual, I have asked for assistance from the beautiful people of the Facebook flower growing community to share some tips and pics. To see all of those please click over to the Higgledy Garden FB page. FAQ: Hey Higgers…what is the difference between biennials and annuals? …and…wow! Have you been working out? Mandy Wigglelots. Milton Keynes. FAQ: Dear Benjiwenjiwoowoo, Surely Biennial flowers take up too much valuable bed space…10 months sounds like a long time to wait for flowers? Derek Spudlington. Huddersfield. FAQ: Hello there Mr Honkledy, Is it true that Biennial flowers need some shade…I heard that they are ‘woodland edge’ flowers. Sammy Sausage. Sawston. Hi Sammy, You are quite right in that biennials are often woodland edge plants. However, in my experience, they grow very well in full sun. If you have a bed that gets some shade in your cutting patch, then yes, of course, use that for your Biennials. Thanks to all of you who contributed pics and comments on the FB page. They are very gratefully received. 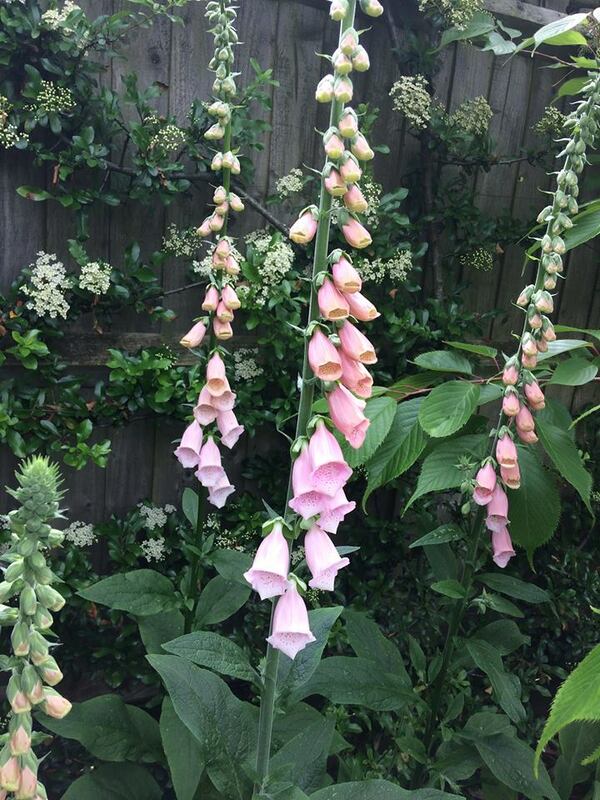 Sally Wragg These are Foxglove Apricot Beauty. They were gorgeous with a gentle ‘ombre’ effect up the stem but were only really happy in my sheltered garden. They didn’t do well on the allotment – too exposed methinks. Sweet Williams were amazing and clearly much tougher as they did/are doing really well on the plot. Penny Dommett. Foxies I can’t resist them. Lenore Messick I am a big fan of wallflowers. They look fabulous with each other and with tulips and they often survive for a few years. They also have a truly wonderful scent. I agree. Wallflowers rock out! They are wonderfully old-fashioned too. In fact, now I think about it…most Biennials are old-fashioned cottage garden plants. 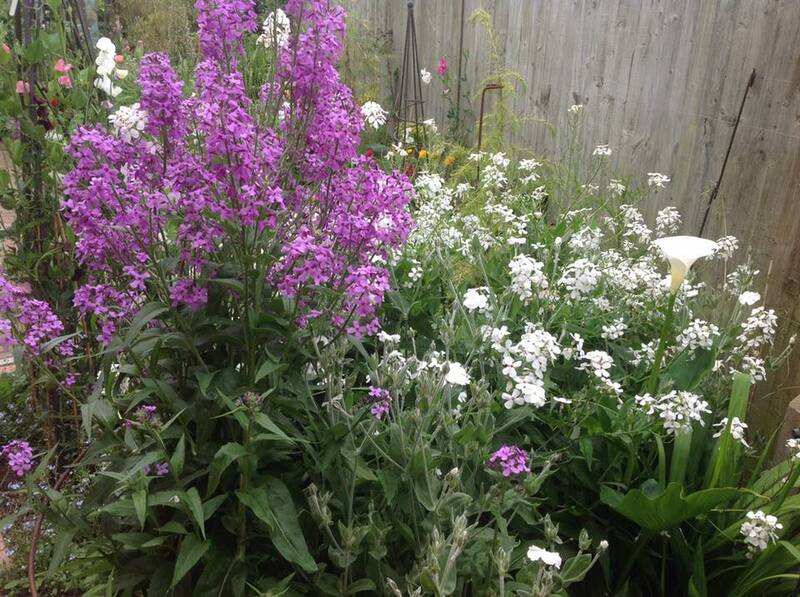 Foxys, Wallflowers, Hesperis, Sweet Williams and Honesty…they all fall into that category. 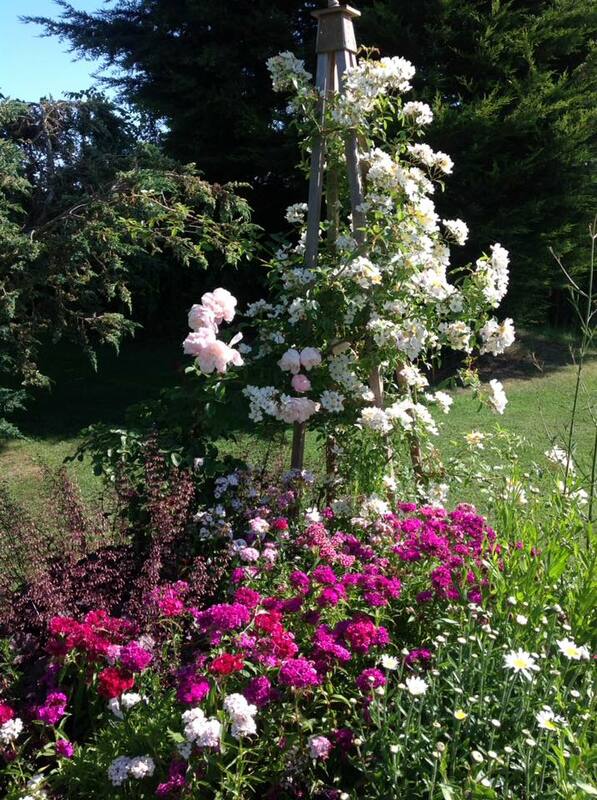 Lianne Button If you only grow one biennial, grow Sweet Williams, beautiful, long-lasting and easy peasy….what’s not to like and if you’re lazy they come again next year! Sweet William are among the most prolific flowers you can grow. They are simply, flower making nutters. 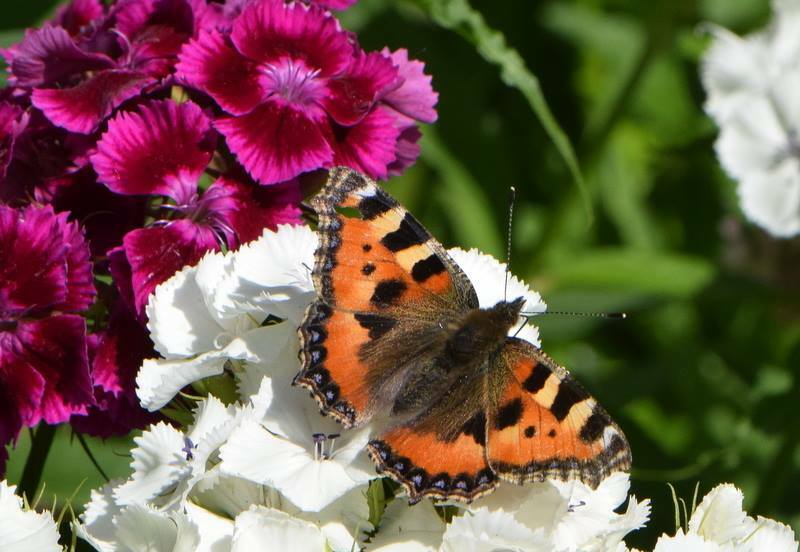 Sweet Williams are a ‘must have’….or be doomed! Aideen Jones I love Hesperis and they make fabulous cut flowers , they also have lots of frothy flowers in that early June gap. Apricot beauty and alba foxgloves were also stunning. Ingrid Stone I’m a new grower this year and I totally went for it with biennials, they’re amazing! They’re happily tucked away in my flower patch looking strong and happy and ready to face the winter :) You totally sold me on them in your seed write ups! Its great to feel like I’m a little bit ahead of myself and already have stuff growing. Hopefully, I will have lots of lovely pictures for you next year. It’s a good idea to give them a mulch of compost if you can…about three inches…don’t bury the seedlings of course….but go around them. It will keep the weeds down and will also keep them toasty over the winter. I look forward to pics next year! Good luck! Wendy Paul. 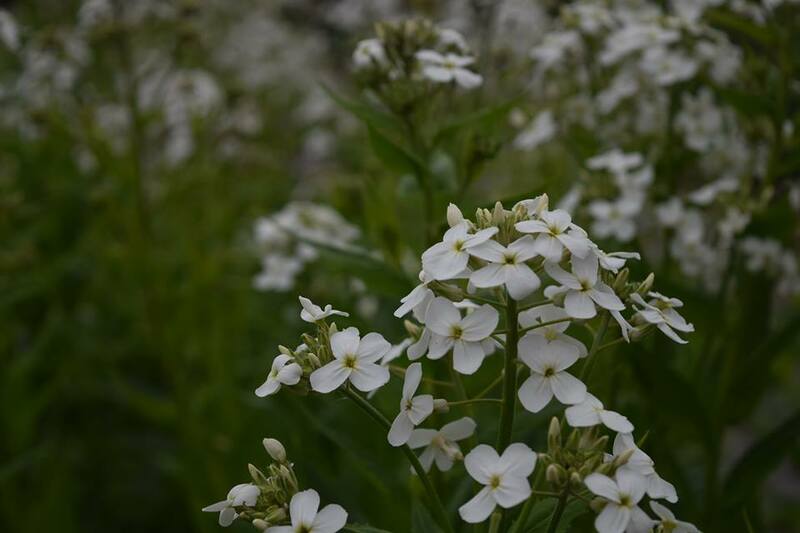 Only started growing hesperis last year, loved using it in our bouquets! Rosalind Jenkins The key to beinnials is to sow twice. That’s it, sow in year one and then sow again in year two. I’m a big fan of self sowers so shaking those seeds about each year keeps the constant show of flowers every year. If I am breaking out into a new colour/variety I sow when the already growing plants set their seed, which can be over a period of 4/6 weeks. I sow in small trays, prick out at two leaves and pot on into P9’s by August because I want them in the ground by October latest. If you sow a succession you get a longer flowering season and once you start why stop. Rosalind has achieved her badge in ‘Advanced Level Biennial Husbandry’. Good show! Tracy McQue I plant amongst my wee hydrangea hedge. 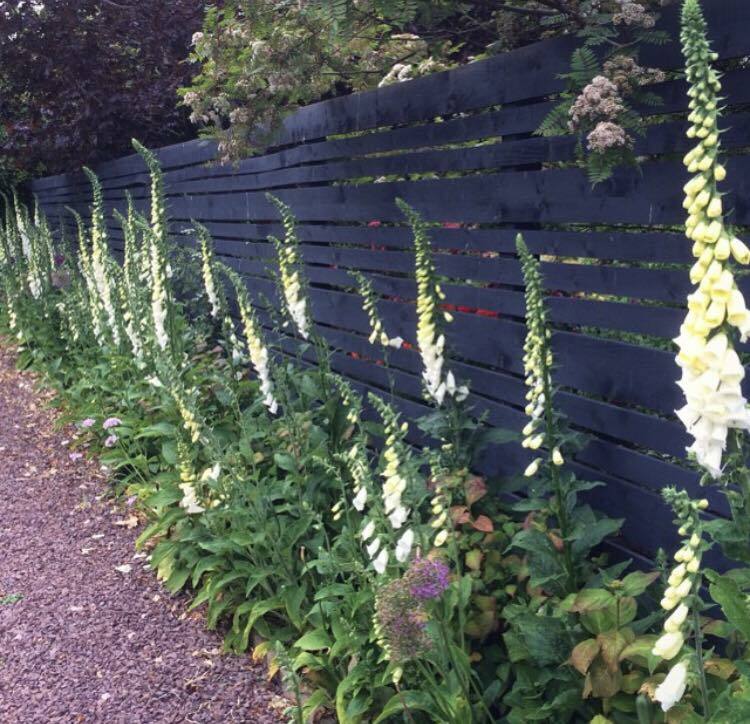 Looks fab with grey…. 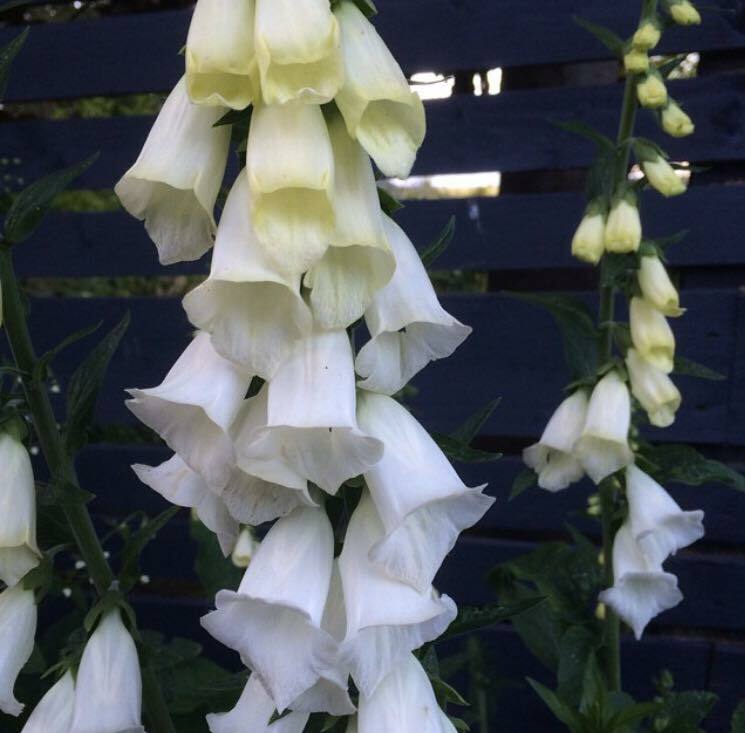 Helen Donovan The beauty of Foxgloves is that you always have some in flower and they seed really easily. 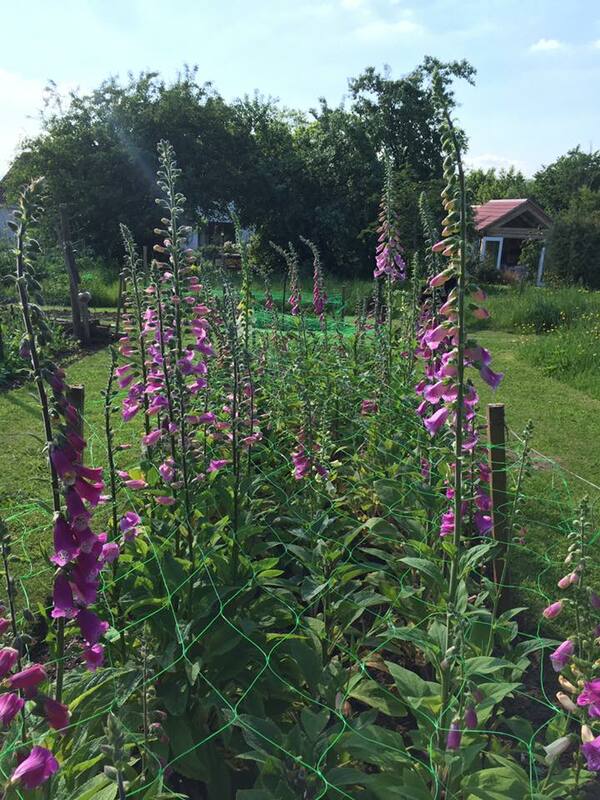 I adore Foxgloves, such a super cottage garden flower. Funnily enough I was looking at mine earlier (which are seedlings from last year) and thought, “I must thin them out soon, lots of big clumps gathered together”. Rosemary Mckerrell. They are also great for wildlife as they bloom early !! Rosemary Mckerrell Biennials are brilliant- well worth the effort and they look great with a mixture of autumn sown annuals as well. Sweet Williams and foxgloves, in particular, are just a joy and not difficult to grow! Lovely pics as ever. Thank you, Rosie. Tracy McQue: Here we go. Digitalis. Doddle to sow and what an impact! Sara Schofield I have planted two lots of biennials for the first time never grown them before but always loved Sweet Williams. Now got lovely plants growing away on the allotment along with some very happy Sweet Rocket. So roll on next Spring/summer. P.S. Received my seeds today thank you. My god where am I going to put them all. Who needs veg! If anyone has any questions about sowing/growing biennials then please come and find me on my Facebook page. My biennials collection contains ALL the above and has a 20% discount and free shipping. Flower School. Half Hardy Annuals. #5	Annual Flowers For Cutting: Ammi majus & Ammi visnaga.